Originally from Stephen, Minnesota, Bailey graduated in 2015 from Minnesota State University Moorhead (MSUM) obtaining a Bachelors of Science in Health Administration and Minor in Business. While attending MSUM she participated in the National Student Exchange at Winthrop University in Rock Hill, South Carolina from 2014-2015. 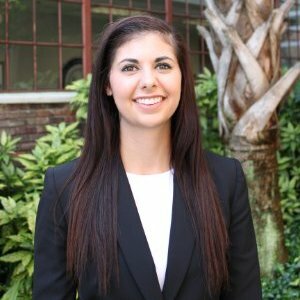 Immediately following graduation Bailey started the Masters in Health Administration (MHA) program at The Medical University of South Carolina (MUSC) in Charleston, South Carolina. Her anticipated graduation date is May 2017. Currently, Bailey is interning with the metro perioperative services team at Carolinas Healthcare System in Charlotte, North Carolina. In her free time, Bailey enjoys running half marathons, volunteering with the Make-A-Wish Foundation, and spending time at the lake with her family in Minnesota. Following graduation she plans on completing an administrative residency.